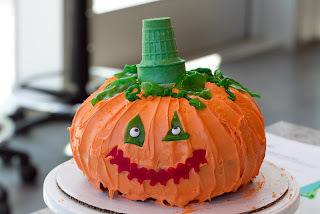 When I saw this cake my first thought was that it was adorable but they must have used a special pumpkin pan. I have way too many things in my kitchen already so I would not be buying a pumpkin pan. I was very happy to find out that there was no need for a special pan. 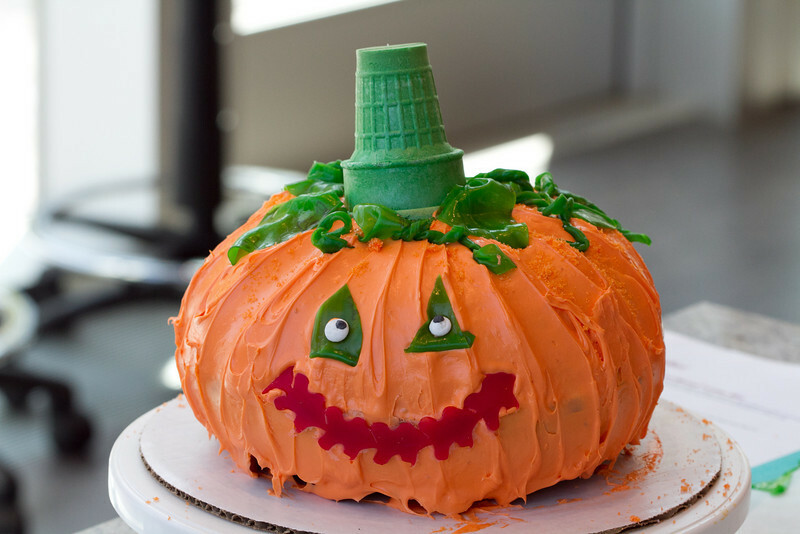 So how did they make this awesome Jack O’Lantern Cake? All you need is a 2-quart round casserole or 2 1/2-quart ovenproof bowl. This cake is made out of two half circles that are put together. I fell in love with this idea right away. Why didn’t I think of that? Think of all of the cake possibilities! It would be perfect for a kid that is into sports. You could decorate the cake to look like any ball. Heat oven to 325°F. Grease and flour 2-quart round casserole or 2 1/2-quart ovenproof bowl. Make 1 box cake mix as directed on box, using water, oil and eggs or egg whites. Pour batter into casserole. Bake devil’s food cake 1 hour 10 minutes to 1 hour 20 minutes, white cake about 1 hour 10 minutes, or until toothpick inserted in center comes out clean. Cool 15 minutes. Remove cake from casserole; place rounded side up on cooling rack. Cool completely, about 1 hour. Make and bake remaining cake mix using same casserole or bowl. In medium bowl, place frosting; tint with 9 drops yellow and 6 drops red food color to make orange frosting. On plate, place 1 cake, rounded side down. Spread 2/3 cup of the orange frosting over cake almost to edge. Place second cake, rounded side up, on frosted cake to make round shape. Frost entire cake with remaining orange frosting. 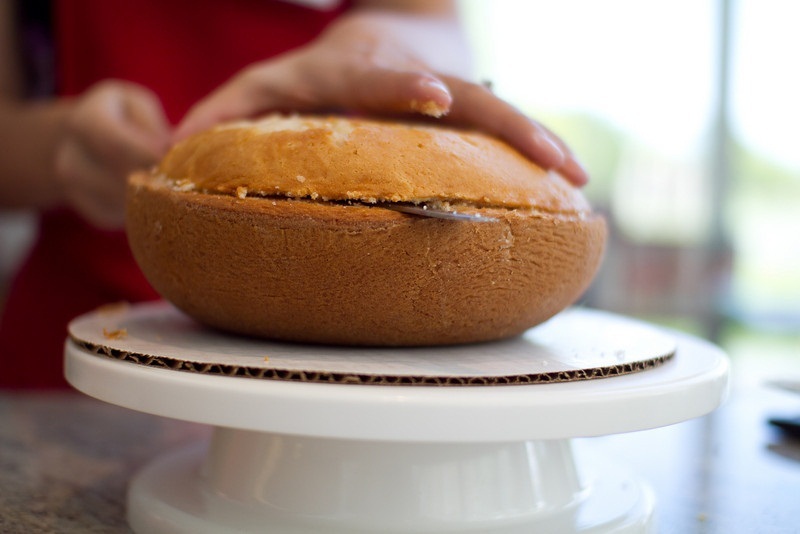 Trim ice-cream cone to desired height for stem; place upside down on cake. Cut out eyes, nose, mouth, vines and leaves from fruit snack rolls. Place on frosted cake to form face. Store tightly covered at room temperature. It's really a cool idea! It's beautiful and impressive way of celebrating the Halloween. That is too cute and would be perfect for thanksgiving!